The Government recently sent out a call for evidence to its Cycling and Walking Investment Strategy Safety Review. The forum sent the following response. Thanks to Francis Vernon for compiling this response on behalf of the forum. In general we support the responses to the safety review from both Cycling UK (“Cycle Safety: Make it Simple”) and the Road Danger Reduction Forum (RDRF). Do you have any suggestions on the way in which the current approach to development and maintenance of road signs and infrastructure impacts the safety of cyclists and other vulnerable road users? How could it be improved? The most important change that needs to be made to improve safety is to design our streets for the comfort and safety of people of all ages, rather than giving priority to the speed and ease of vehicle movements. For the past 50 years the approach to development and maintenance of road signs and infrastructure has been primarily focussed on reducing congestion caused by the increase in motor vehicles, and making travel by vehicles quicker and more attractive. The volume and speeds of vehicles on the roads, the design of the road infrastructure and the general ease of travel by car have all led to the numbers of people riding bikes (in most parts of the country) changing little over the past few decades. One key reason given by people for not travelling by bike is the perception of risk it involves. There has also been an increase in the numbers of people walking or on bikes who have been killed or seriously injured in recent years. 1. There need to be networks of cycle routes across the country, taking people where they want to go. Physically protected cycle tracks alongside faster and/or busier main roads. Lightly-trafficked low-speed streets or lanes, where through traffic is removed as far as possible, and which are designed to feel like community streets, with low speed limits. Routes entirely free of motor vehicles which are integrated with a wider cycle network to meet people’s day-to-day journey needs. 3. The majority of collisions between car drivers and people on bikes occur at side road junctions and roundabouts, so their design must take this into account. 4. Continuous footways should be the norm for side-road junctions. These give priority to pedestrians and bikes and have been shown to reduce collision rates. 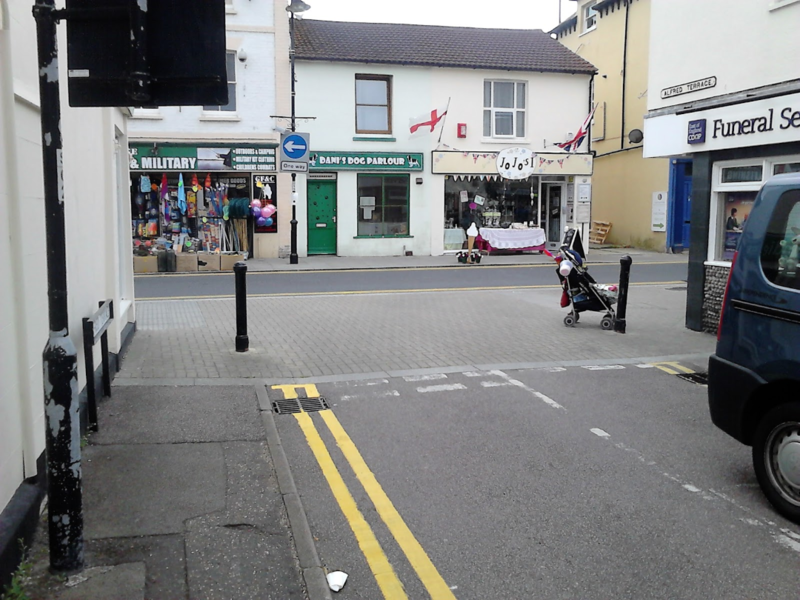 Here is a good example from Walton-on-the-Naze: traffic can cross this junction, but the clear visual priority is for pedestrians. 5. Consistent design guidance for planners and highway engineers is crucial. The lack of this has led to piecemeal development of cycling infrastructure in some places, with many examples where the changes designed are of poor quality and at times dangerous for people on bikes. We support Cycling UK’s call for a single consistent source of cycle-friendly design guidance covering specific provision for cycling. The full width of the road (often the edges are excluded in resurfacing work). safety whilst promoting more active travel. Match the severity of the charge more closely to the culpability of the driver than to the severity of the outcome ie if a driver has a minor lapse of concentration that the charge should reflect that, even if a death results, but if a driver makes a deliberate choice to drive aggressively or recklessly, that should be treated more severely, even if no injuries result. Driving bans to be more widely used and to be for longer periods. Implement ‘Turning the Corner’ (British Cycling Campaign) so turning traffic must give way to straight on movements including by pedestrians and cyclists –as is common and effective elsewhere. This will make it easier to implement safe protected cycle infrastructure as well as directly helping people walking and cycling by giving them priority. Move towards no on-street parking in urban areas except in designated bays (including for disabled drivers) rather than relying on increased numbers of double yellow lines. Make pavement parking illegal and enforceable by both police and local authorities. Reduce the national speed limit in line with Vision Zero principles ie lower speed for single carriageway roads and lower again for lanes. Safe passing distance for overtaking cyclists – to emphasise the need for more space. Two-abreast cycling and primary position – to permit it (cyclists to be considerate and, where safe, let vehicles to overtake rather than create excessive hold-ups). References to helmets and hi visibility – to indicate that these are a matter of individual choice of cyclists and drivers need to travel at a speed where they can spot and safely pass cyclists/pedestrians regardless of the clothing they are wearing. Involve cycling groups in the re-writing process. specific consideration to protecting cyclists and pedestrians? Learner drivers to take Bikeability 3 before taking their driving test. Driving test to be extended, e.g. the current test to be followed within a year by a second, longer test including night driving and 70mph roads. Regular retests required for all drivers – charges to make this self-financing. 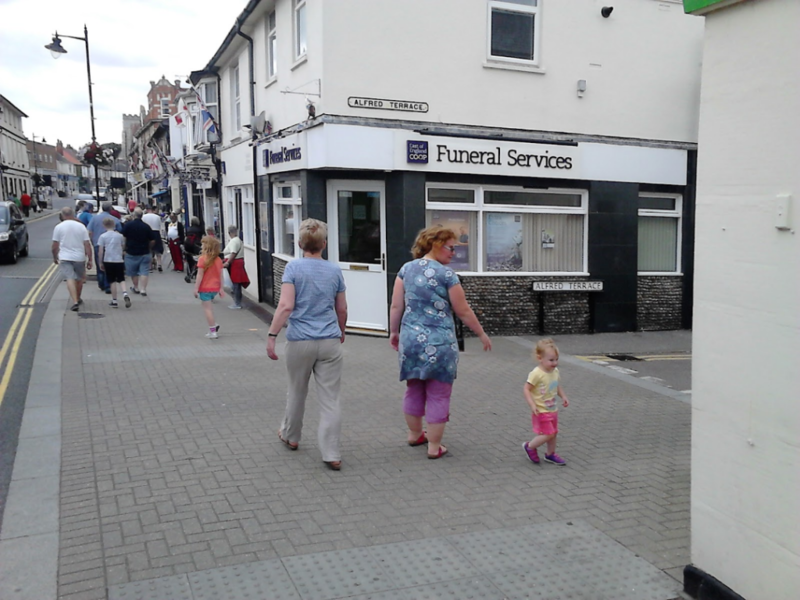 support more and safer walking and cycling? Information videos and training on the dangers of being hit/trapped when large vehicles turn. This could be provided to school children around the time they do Bikeability 2 and, again, for secondary/sixth form students and new drivers. This would emphasise the relative desirability of walking or cycling to driving. promote more walking and cycling? Require vehicles to be fitted with ‘tachographs’ so that there is a record of driver behaviour which is available to police in the event of any collision etc. Require vehicles to be fitted with technology which warns the driver when the local speed limit is exceeded. Require new vehicles to be fitted with technology which prevents them from exceeding the local speed limit. Automatic braking and recognition and visual warnings of cycles in all new vehicles. Introduce tight restrictions on built-in screens in car cockpits to prevent driver distraction. Encourage local authorities to put tighter limits on vehicle sizes in residential and town centre streets. Incentivise the use of cargo cycles for ‘last mile’ deliveries. Provide subsidies and more flexible extended ‘cycle to work’-type schemes for ebikes and cargo bikes.